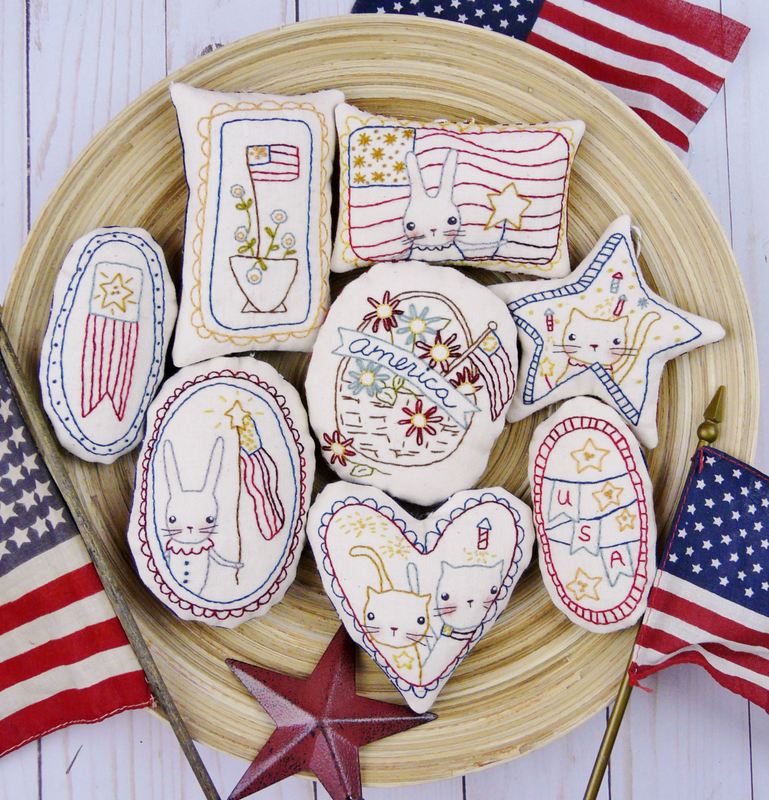 Welcome some Americana in to your home! 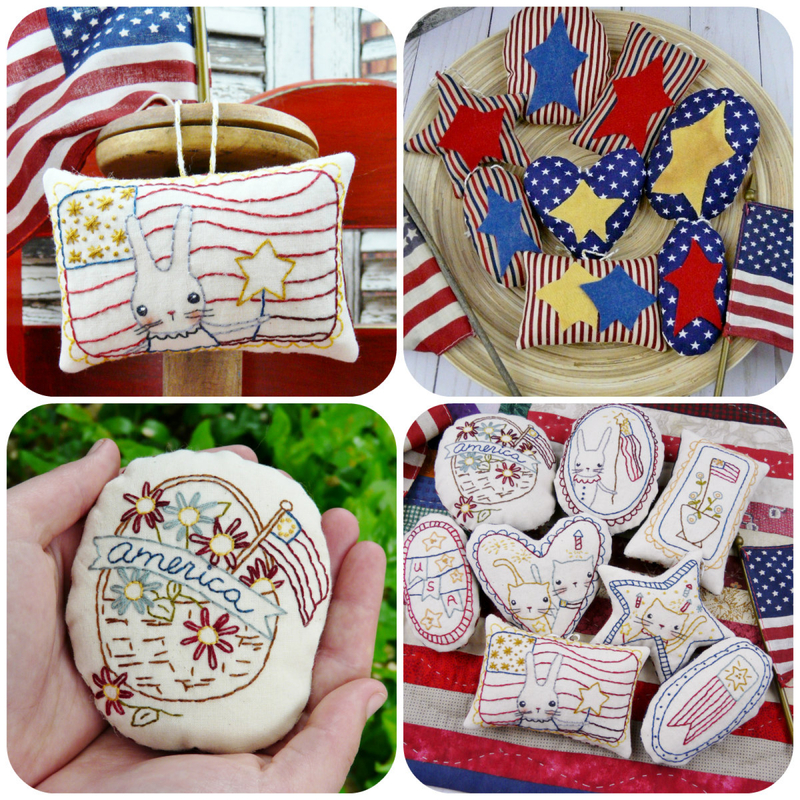 All summer long ...from memorial day, flag day to independence day...and later veteran's day too.... Stitch up some super quick & unique ornaments or bowl fillers ... 8 designs in one. There are flags, cats, bunnies, banners, flowers and more! 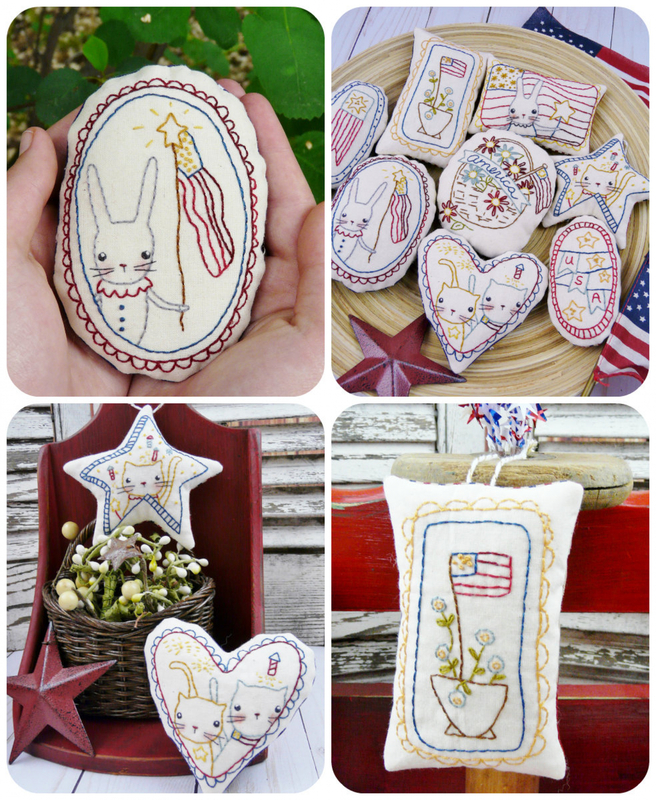 They make a great gift and look amazing sitting on a little shelf or hanging on a tree or knob. Each ornament has a wool or felt star on the back. Use bakers twine for a sweet hanger. Embroidery designs measure: from 1 3/4" x 3 7/8" to 2 3/4" x 4"
Finished: from 2" x 3 3/4" to 3" x 4 1/8"